Hey dolls! Serum No. 5 has joined Black Cat Lacquer, Crows Toes, Elevation Polish, and Hare Polish for February’s A Box, Indied. In keeping with the joy of Valentine’s day, the theme for February is A Box, Candied. 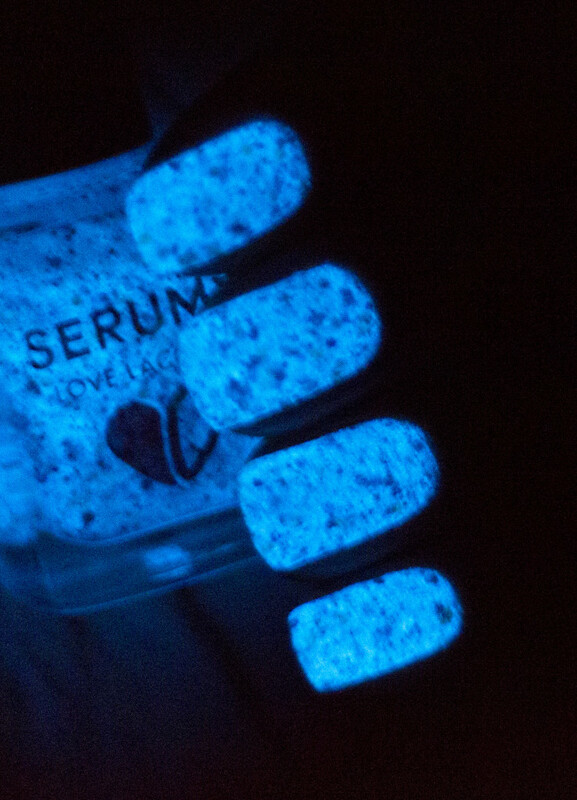 Today I have photos for you of Serum No. 5 Sweet Nothings, which was inspired by pastel conversation hearts. It is described as a white crelly with pastel rainbow glitter with some pink, red and lavender metallic glitters for contrast. The formula was a tad bit streaky on the first coat, but built up easily to opacity in three coats. 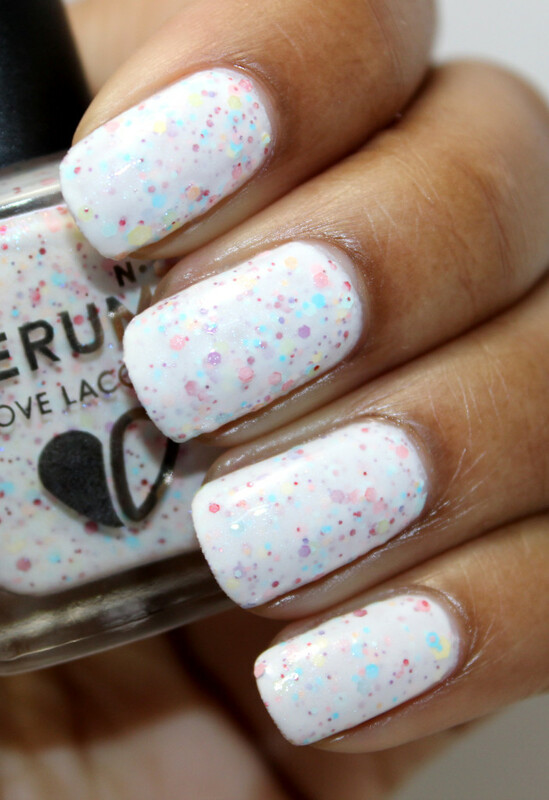 Sweet Nothings does dry to a slightly gritty finish, so top coat was applied in the photos below. 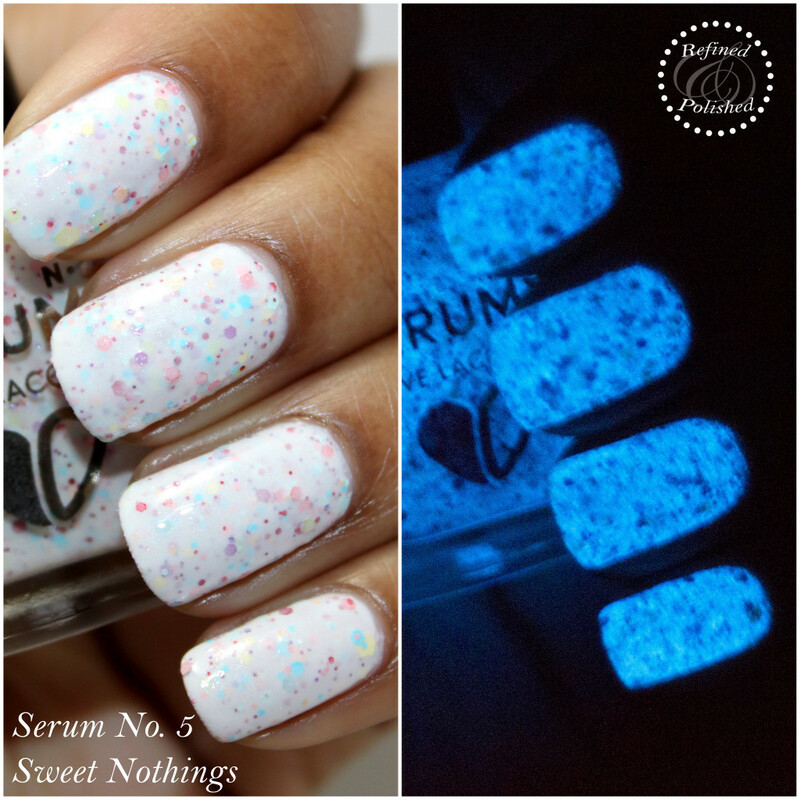 The bright blue glow on Sweet Nothings is gorgeous! Sweet Nothings and it’s bright white reminds me of one of the coats I’ve been wearing all week. Many states are experiencing extremely cold weather and Georgia is definitely one of them. I’ve included a few white coats that caught my eye while doing a little online shopping below. How do you feel about white in the winter? I’m all for it! The A Box, Candied collection retails for $50 and will be available here on 1.26.15 at 12p and 7p MST launch times. Be sure to keep up with Serum No. 5 on Instagram, Facebook, and Twitter for updates and info on new releases.